Hi Ladies out there! I’m very excited to share this piece of good news to you! Singapore newly start-up Beautiful.Me going to launch very soon! Beautiful.me is an online platform that we can purchase over 300 top global beauty brands (Clio, Dove, 3 Concept Eyes, Loreal, Vichy and etc…), including SKII and Johnson & Johnson at special members’ prices that start lower! Beautiful.me adopts a “profit-less” pricing model and only applies a small markup to the products they sell. By working to cut out retail inefficiencies like costly rental expenses, the company is able to pass these savings on to their members in the form of price discounts, rewards and rebates. To cover basic business expenses, Beautiful.me charges an annual membership fee of $49 (waived for members who sign up before August 26th, 2015) which is backed by a 200% Satisfaction Guarantee: if you don’t save more than double what you paid for the membership, Beautiful.me will refund you the difference at the end of the year. Points, which can be redeemed for free samples, product trials and gifts. allowing members to save even more. and rewards when you share your purchase on social media, write a review, or when you refer friends. Refer 5 friends and you’ll receive one full year of free membership, as well as early access to the beta site. Refer 10 friends and you’ll be rewarded with a share of up to $800,000 in cash rebates (yes, cash!…not points) or 5% of what your referrals purchase in the next 12 months. That’s extra pocket money you can earn without ever breaking a sweat. Referring friends couldn’t be any easier, either; sign up now at www.beautiful.me and get your unique link to share with friends and family. Once they sign up, they become your referrals and Beautiful.me takes care of the rest. All you will have to do is keep track of your rewards and rankings in our Rewards Portal and enjoy the pre-launch madness! Hurry sign up as member now and don’t miss out this exclusive opportunity! 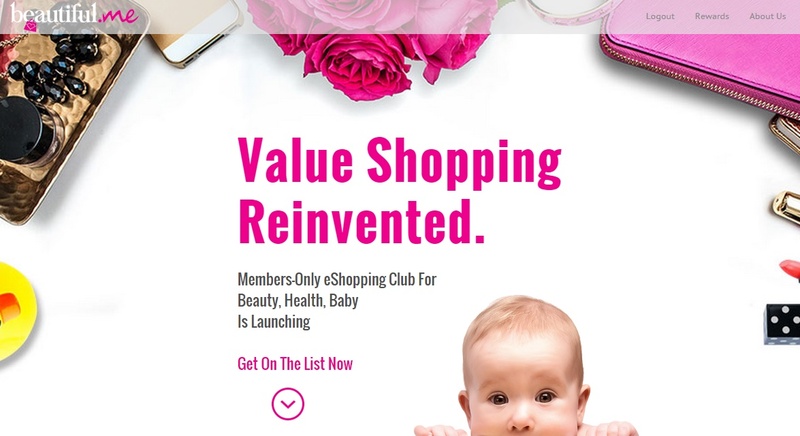 Beautiful.me is Asia’s premier online shopping club for everything she needs, offering its members a smarter way to shop for beauty, body and baby essentials. Beautiful.me works hard to curate the most exciting brands at the best prices possible so that members don’t have to pay more. Founded and headquartered in Singapore, Beautiful.me is managed by a group of retail and business professionals who aspire to change the way Asian women shop for all things beauty.